The Disabilities Collective is an autonomous collective for undergraduate students who have a disability, defined by the UN Convention on the Rights of People with Disabilities as “long-term physical, mental, intellectual or sensory impairments which in interaction with various barriers may hinder their full and effective participation in society on an equal basis with others.” This includes people with mental, chronic, or terminal illnesses; people who are neurodivergent; and people who are D/deaf or hard of hearing, even if they do not personally identify as disabled or as having a disability. The Caregivers Network is an initiative for students who provide substantial informal caregiving support to friends or family members who are disabled. If you’d like to get involved in activism, social events, Disability Inclusion Week, and more, get in touch! You can find our public Facebook page at facebook.com/USYDdis/ and our Twitter at twitter.com/USYDdis. Contact the 2019 Office Bearers Hayden and Wilson at disabilities.officers@src.usyd.edu.au to be added to either of our Facebook groups, or to be added to our mailing list. You do not have to disclose any details about your disability or caregiving responsibilities to get involved. 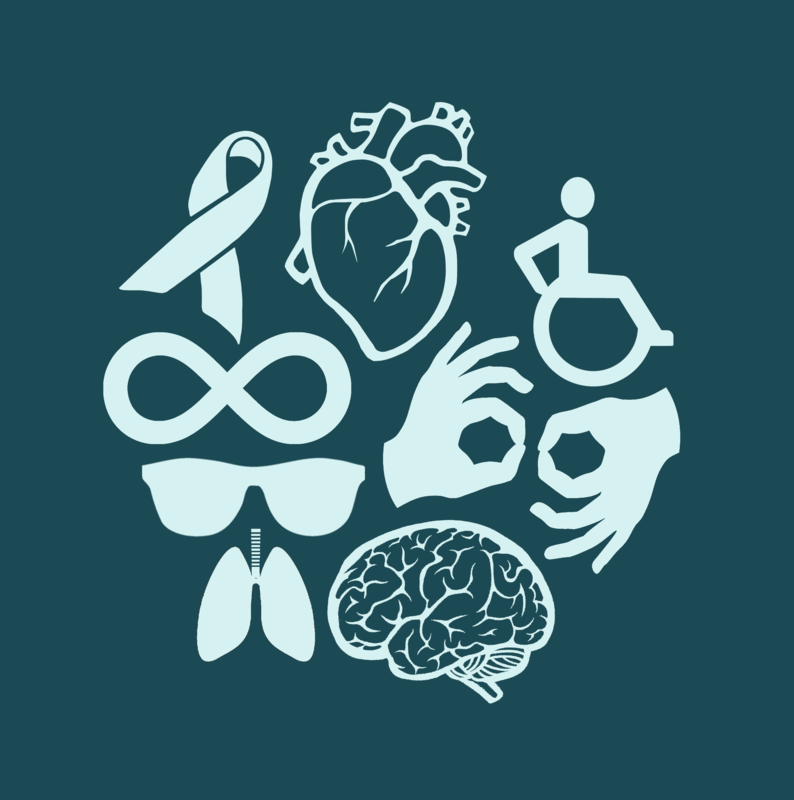 The UNCRPD definition above was designed with reference to the social model of disability, which emerged in contrast to the medical model of disability. The medical model of disability states that people are disabled because their bodies diverge from an accepted norm. The social model of disability states that people are disabled because society does not accommodate their bodies. For example, under the social model of disability, a wheelchair user is disabled by inaccessible environment rather than by limited physical mobility. Disability is thus not just a health problem. It is a complex phenomenon, reflecting the interaction between features of a person’s body and features of the society in which he or she lives. Overcoming the difficulties faced by people with disabilities requires interventions to remove environmental and social barriers. The social model isn’t always a perfect model for interpreting disability, but it is a useful starting point. It’s also important to remember that lots of people who have impairments do not identify as disabled. For example, Deaf people often do not consider themselves to be disabled, but rather consider themselves to be a community defined by culture and language. 20% of people living in Australia are disabled. This figure is higher in marginalised communities, due to factors such as lack of access to healthcare, socioeconomic conditions, minority stress, and intergenerational trauma. In Aboriginal and Torres Strait Islander communities the figure is 50%. LGBTIAQ+ people also experience disproportionate levels of disability. Many disabled activists use identity first language (“disabled person”), rather than person first language (“person with a disability”), as a matter of identity pride and as a way of invoking the social model of disability. Some communities have a strong preference towards one or the other, for example, Autistic people overwhelmingly prefer to be referred to as an “Autistic person” rather than a “person with autism”, whereas people with intellectual disabilities overwhelmingly prefer to be referred to as just that. For the most part the disability sector (i.e. healthcare and disability services) uses person first language. Phrases such as “differently abled”, “handicapped/handicapable”, and “special needs” are generally advised against. You can find a list of supportive resources for disabled people here, a directory of disability advocacy services here, and more useful links here. Caregivers, or carers, are people who provide substantial informal (unpaid) caregiving support to family members or friends who have a disability, mental illness, chronic illness, terminal illness, alcohol or drug addiction, or who require aged care support. Caregiving support can include physical and personal care and assistance; organisational support such as help making appointments or managing medication; and financial, social, and emotional support. 12% of people living in Australia are informal caregivers. Many caregivers are also disabled; often disabled and elderly people provide caregiving support to each other. Caregivers are also disproportionately likely to experience mental illness. Currently the system does not provide adequate healthcare or aged care support for disabled or elderly people, which means that the decision to provide caregiving support to friends or relatives is rarely made freely, but rather out of necessity. Not every person who needs caregiving support has someone in their lives willing (or able) to provide that support. Capitalism shifts the responsibility of caring for our communities onto individuals. This puts a great deal of stress on informal caregivers, many of whom are women and/or young people. You can find a list of supportive resources for caregivers here. Ableism is a term used to refer to the sociocultural marginalisation of disabled people. It includes any kind of discrimination and prejudice directed towards people with disabilities. For example, it is a function of ableism that 45% of disabled people in Australia live near or below the poverty line, more than double the OECD average. The National Disability Consultation Strategy report Shut Out: The Experiences of People with Disabilities and their Families in Australia outlines the systemic disadvantages experienced by disabled people in Australia. “Ableism” is not a recent term, and has been used since 1981, replacing the earlier term “handicapism”. Some people use the term “disableism”. Working towards disability justice and liberation means supporting disabled people to live full and equal lives to everyone else in society. It means recognising that disabled lives are worth living, and that our lives and bodies are not inferior or less important to the lives and bodies of abled people. It means: nothing about us without us! And: no body left behind! All bodies are unique and essential. All bodies are whole. All bodies have strengths and needs that must be met. We are powerful not despite the complexities of our bodies, but because of them. We move together, with no body left behind. This is disability justice. There is a long and proud history of disability activism at USyd, but we still have a long way to go! Unfortunately, many people are unaware of the DDA, and violations of the DDA are difficult to prosecute. Unlike other anti-discrimination legislation, the DDA has a clause for “unjustifiable hardship”, meaning that people and companies can be given an exception to discriminate in cases where not discriminating would result in “unjustifiable hardship”, such as high expense. Heritage-listed buildings are not exempt from the law, but heritage listing may be taken as supporting evidence for an argument of unjustifiable hardship. If you experience ableist discrimination at the University of Sydney, you may find it useful to consult with the SRC legal service, which provides students with free legal advice, representation in court where relevant, and a referral service. Call the SRC Legal Service to make a booking at 02 9660 5222. NOTE: The SRC is located down a flight of stairs and may be difficult for students with mobility issues to access. If you prefer a face to face appointment you may be able to use a (narrow) back entrance via the loading dock, or they may be able to book a meeting space in another venue. Alternatively they can arrange contact via telephone or Skype.